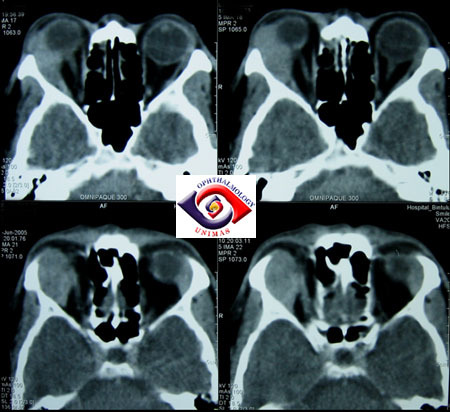 This 41-year-old man is referred from another hospital because of a progressive painless right proptosis for the past 18 months. He is otherwise medically well and has no past medical history of note. Orbital CT scan performed in the same hospital is shown below. a. Where is the location of the lesion? b. What are the main types of lesion in this region? 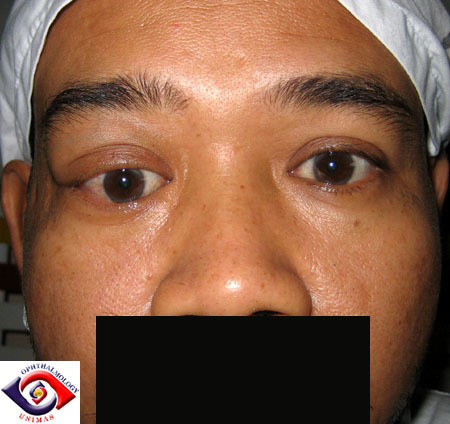 The ocular examination revealed a right non-axial proptosis with the globe being displaced down and inward. The vision is normal with normal fundal examination. 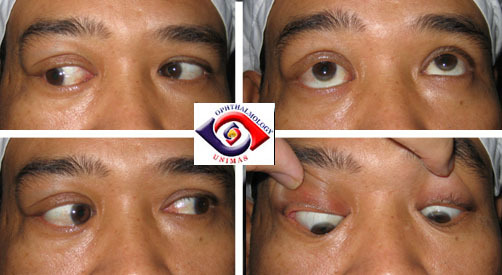 Ocular motility was restricted on upgaze (see below). Palpation revealed a firm mass in the superior temporal quadrant of the orbit which was non-tender. c. What is the most likely lesion? d. How would you manage the patient? e. How would you assess the lesion?